Helen Faccio tweeted this picture of the scene. A 46-year-old old man has been arrested in a Derbyshire town on suspicion of murder. Officers were called to West Park Court in Long Eaton at 11.05am this morning (Tuesday, August 29) to reports that a man had been injured. When officers arrived a man was found with fatal injuries and he was pronounced dead at the scene. 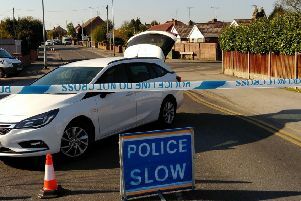 A 46-year-old man has been arrested on suspicion of murder and has been taken into custody. Anyone with information is asked to contact Derbyshire Police on 101, quoting incident number 288 of August 29.